but how about using the tsr2 decal sheets to do the f111k??? Reality is for people who can't handle Whif!! Now with more WHATTHEF***!! than ever before! Speaking of which, where is Lee? Ain't seen him around in a while. The cancellation of the TSR.2 was a foregone conclusion a year or two earlier!, it was just that the previous Conservative goverment didnt have the bottle to do so and waited till the subsequent Labour mob to finally pull the plug (with the resultant redundancies and bad press!) there was also alleged pressure upon Wilson et al from the USA. re balance of payments etc. which also hastened the projects end, along with a number of other promising UK. high technology programmes! The aircraft (as admittedly most are!) were massively over their stated budget (this is what finally killed it! ), technology had moved on with regard systems etc. serious engine problems re reliability and build standard (useful experience for the ones laster redesigned for Concorde tho! ), maintenence problems, aerodynamic, structural and material defects, cockpit ergonomics, etc. to name just a few! having said all that, look what happened to Australia's order for the F.111C, and the problems GD. had with the wing box mechanism and TFR. systems, which when eventually ironed out at great cost and timeframe, resulted in a good aircraft, which possibly the TSR.2 likewise may have become? 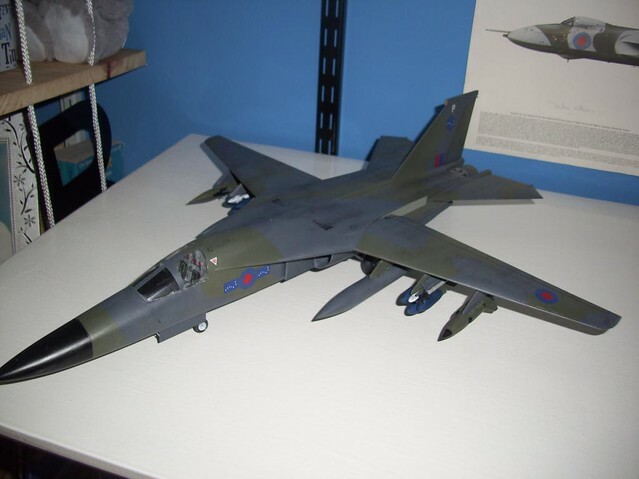 The F-111 was, in fact, given a name by the RAF: they were going to call it 'Merlin', suggested since the bird of that name swings its wings back while attacking. There is long (and extensive) correspondence in the Public Record Office on the subject: the Australians were asked to join in the 'find a name game', but came up with 27 Aborignal names. The RAF came up with the Harrogate (I jest not...), the Richmond (rejected by the Australians for fear of appearing to favour an Aussie Rules football team - aking to calling the aircraft the Manchester United, I suppose) and an array of other dull names before an Air Marshal got a grip and told his staff something a little more exciting was needed. They then came up with a list of birds of prey, from which Merlin was selected. Although it was planned that the Secretary of State for Defence would announce the name in parliament at some point in 1967 (IIRC), the name never made it into the public domain. A civil servant pointed out that announcing the name before the contract was signed or before the first flight of the aircraft was against precedent, and as there were growing doubts that the F-111K contract would be completed or that the F-111K would have a first flight, it would be terribly embarrassing to break with this convention. About three weeks after that minute was sent, the F-111K was cancelled. Sorry to ramble on; just thought it might be of interest to...er... well, someone, perhaps? nice name though, and thanks for the info - welcome to the site too, btw, you'll fiy just fine around here, i can tell! As Joe says wellcome and I love the titbit about calling it the Harrogate but makes me wonder if when first named Manchester, Lancaster and Lincoln sounded odd ? Is it the passing of time or innocence that that makes some names sound odd and some right ? A piece of thread necromancy. The F-111K - was it going to have longer wings than the standard F-111A - like the F-111C did? This question comes up frequently in different places, and despite numerous statements that it was the case, the answer is no. It doesn't help that NUMEROUS 'drawings' actually show the K to have the longer wings too! 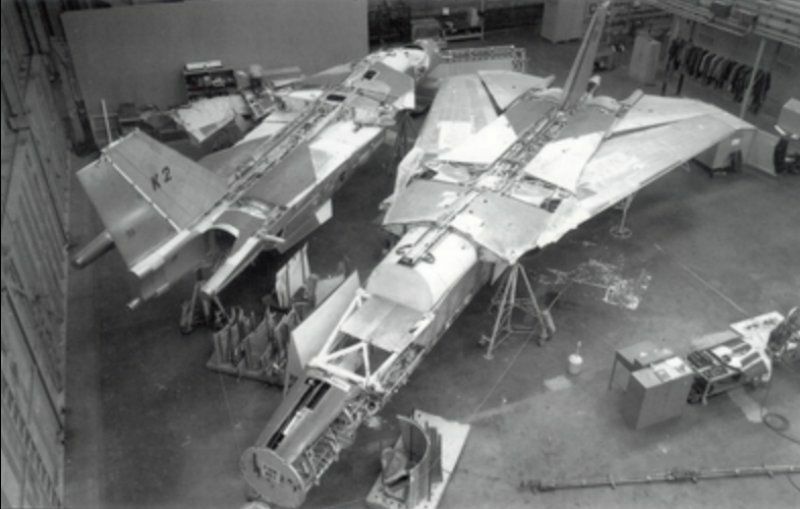 This pic, taken just after work had been abandoned on the first two F-111Ks, shows that the wings were the 'standard length'. Ignore the port wing, which does look as if it's extended, there's a bench against the wall that confuses the issue. Instead look at the starboard wing, which is much more obviously shorter. OK, thanks, Kit. That clears up something I'm thinking about. I used 7 sqn markings on mine, as that was supposedly the first sqn that was to get them.